Simon S. Lam, Principles of Communication and Networking Protocols, IEEE Computer Society Press, 1984. 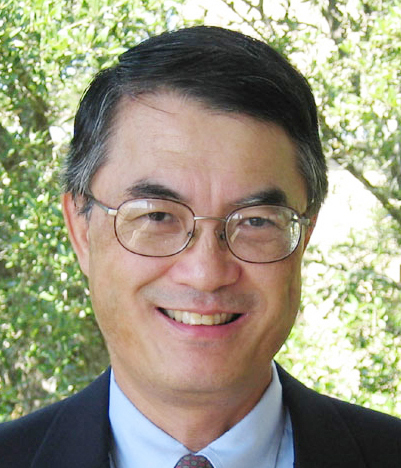 Professor Lam's research interests are in computer network protocol design, Internet security services, protocol verification, and performance analysis. National Academy of Engineering (elected 2007) - For contributions to computer network protocols and network security services. ACM Software System Award (2004) - For inventing secure sockets and prototyping the first secure sockets layer, named Secure Network Programming (SNP), as a high-level abstraction suitable for securing Internet applications. ACM SIGCOMM Award (2004) which recognizes lifetime contribution to the field of communication networks. IEEE W. Wallace McDowell Award (2004) - For outstanding fundamental contributions in network protocols and security services. Hongkun Yang and Simon S. Lam, Real-time Verification of Network Properties Using Atomic Predicates, IEEE/ACM Transactions on Networking, 2015; DOI: 10.1109/TNET.2015.2398197, IEEE Early Access Articles. Chen Qian and Simon S. Lam, A Scalable and Resilient Layer-2 Network with Ethernet Compatibility, IEEE/ACM Transactions on Networking, 2014; DOI: 10.1109/TNET.2014.2361773, IEEE Early Access Articles. Simon S. Lam and Chen Qian, Geographic Routing in d-dimensional Spaces with Guaranteed Delivery and Low Stretch, IEEE/ACM Transactions on Networking, Vol. 21, No. 2, April 2013. Chung Kei Wong, Mohamed Gouda, and Simon S. Lam, Secure Group Communications Using Key Graphs, IEEE/ACM Transactions on Networking, Vol. 8, No. 1, Feb. 2000. Thomas Woo, Raghuram Bindignavle, Shaowen Su, and Simon S. Lam, SNP: An Interface for Secure Network Programming, Proceedings USENIX Summer Technical Conference, Boston, June 1994. Multi-hop DT: A New Routing Protocol, keynote lecture, IEEE International Conference on Network Protocols, Austin, Texas, October 2012 (the only keynote in the conference). Back to the Future, Part 4: The Internet, keynote lecture as SIGCOMM Award winner at the ACM SIGCOMM Conference, Portland, Oregon, August 2004 (the only keynote in the conference). Understanding Interfaces, keynote lecture at the 4th International Conference on Formal Description Techniques, Sydney, Australia, November 1991 (the only keynote in the conference).